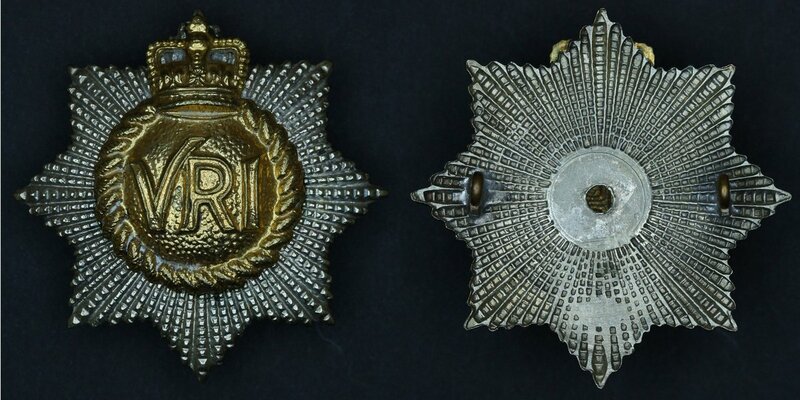 The later Imperial Crown badges produced for the Regiment exhibit a broader based crown than earlier variants. 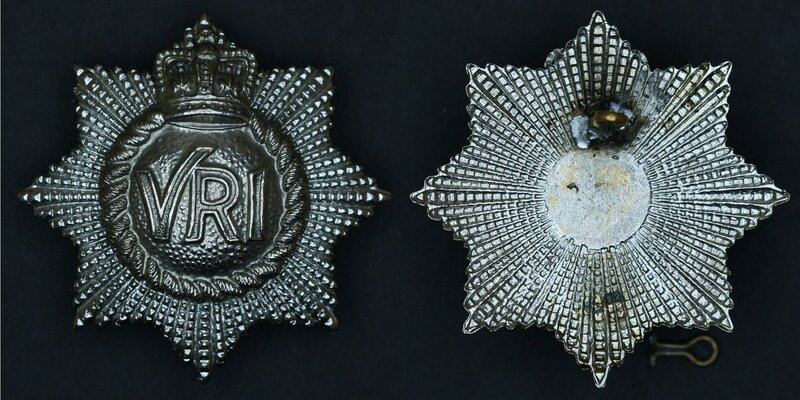 In some cases, the work is coarser than earlier badges, and different styles of anodization may be found as attempts were made by the manufacture to have a badge that would retain its polished appearance. 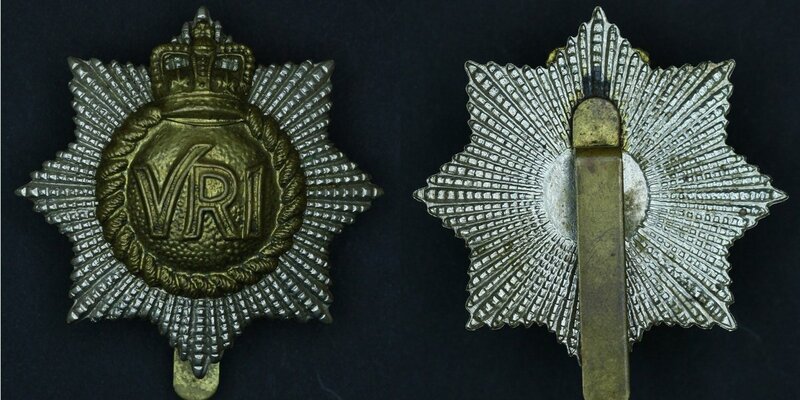 Electro-Plating: On February 24, 1961, The Colonel of The Regiment and the Regimental Executive Committee gave approval for the electro-plating of all metal accoutrements within The Regiment. 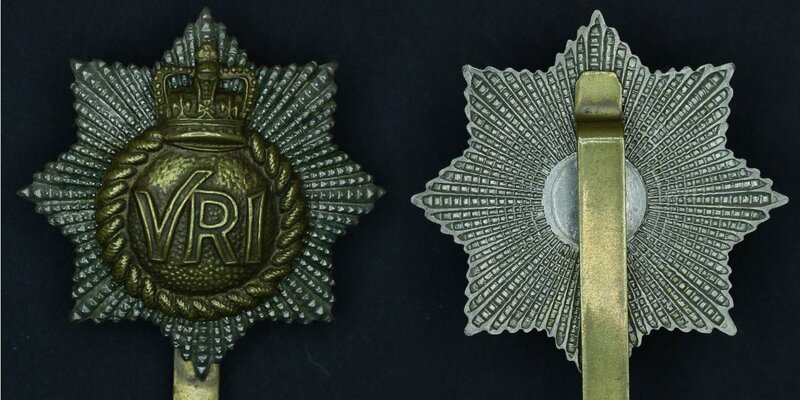 Most of the stock of Officers and Warrant Officers accoutrements, held in the Regimental Accessory Shop, have now been electro-plated. the plating is being done by Universal Repairing and Plating, 416 Lagauchetiere Street, Montreal, Quebec. Officers and Warrant Officers are advised to deal direct with this firm to have their present holdings of accoutrements plated. There is no intention of replacing cap badges currently in use in the Canadian Armed Forces with a new, common-to-all-elements symbol. And that goes for unit-designations, too. General J.A. Dextraze, Chief of the Defence Staff says "this had been considered, but I do not believe it would be right to introduce a common cap badge." As for changing unit names to numbers, this is purely a product of the perennially-overworked rumour mill. It won't happen. That means that the 3rd Battalion, The Royal Canadian Regiment or any other proud fighting unit will not be re-tagged as the 579th Combat Infantry Regiment. The same goes for equivalent components in the sea and air elements. However, nothing has been resolved about several thousand mis-badged members who wear insignia of organizations no longer in existence. 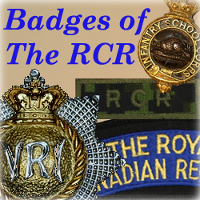 They include the Royal Canadian Engineers, Royal Canadian Signals, Royal Canadian Army Service Corps, Royal Canadian Army Medical Corps, Royal Canadian Dental Corps, Royal Canadian Ordnance Corps, Royal Canadian Electrical and Mechanical Engineers, Royal Canadian Army Pay Corps, Royal Canadian Postal Corps, Canadian Provost Corps and Canadian Intelligence Corps. All have been integrated into new, common classifications and trades. 1. 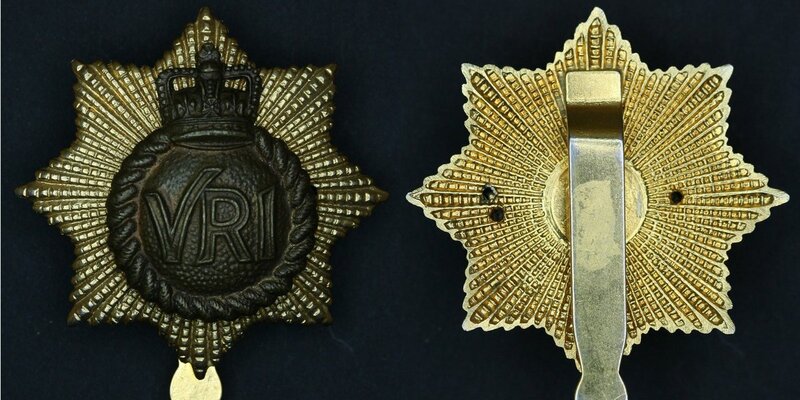 The Regimental cap badge is an eight pointed diamond cut star two inches in diameter; upon the star a raised circle surmounted by the Imperial Crown; within the raised circle, the block letters “VRI”, the Imperial cypher of Queen Victoria. a. Officers, CWOs and MWOs. The star is white metal, VRI Cypher in silver, remainder in gold gilt. b. 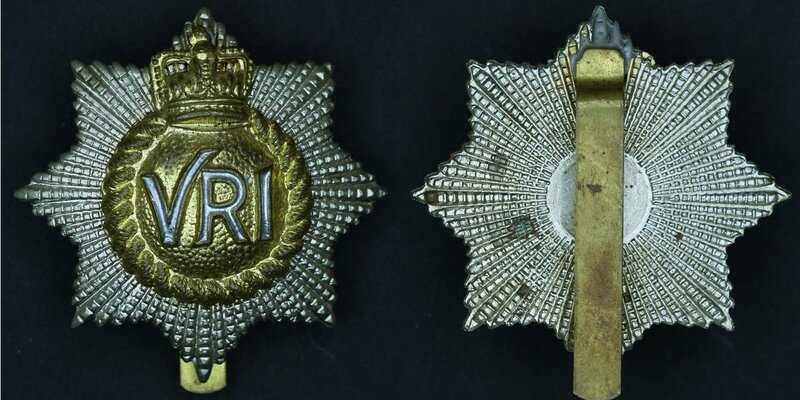 Warrant Officers, Non-Commissioned Officers and Privates: The star in white metal and the remainder of the badge is brass/gold gilt. c. Pipers. 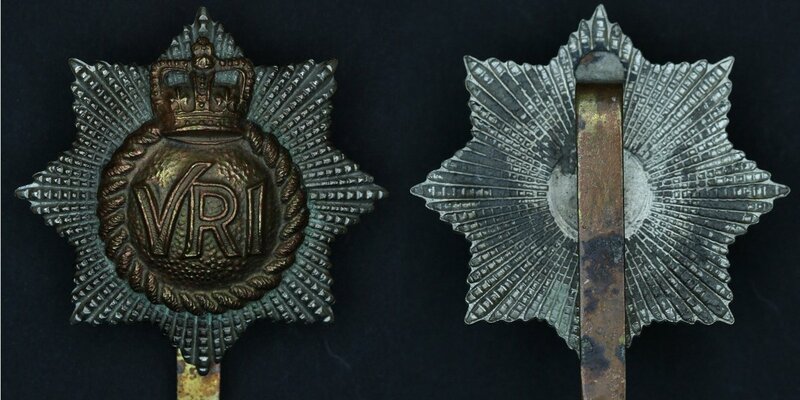 The appropriate Regimental cap badge, surrounded by a garter in gold gilt 2 3/4 inches in diameter. The garter embossed with the inscription “The Royal Canadian Regiment”. a. Forage Cap. The badge is centered on the front of the cap in line with the front seam so that the lowest point of the star is just touching the upper edge of the chin strap. b. CF Wedge Cap. On the left front side, the center of the badge placed 3 Å¸ inches from the front and 1 1/2 inches from the top seam. c. CF Beret. On the left front side, the badge centered on the built-in badge stay (the lowest point of the star is 1/4 inch above the band). d. Glengarry. Centered on the rosette. 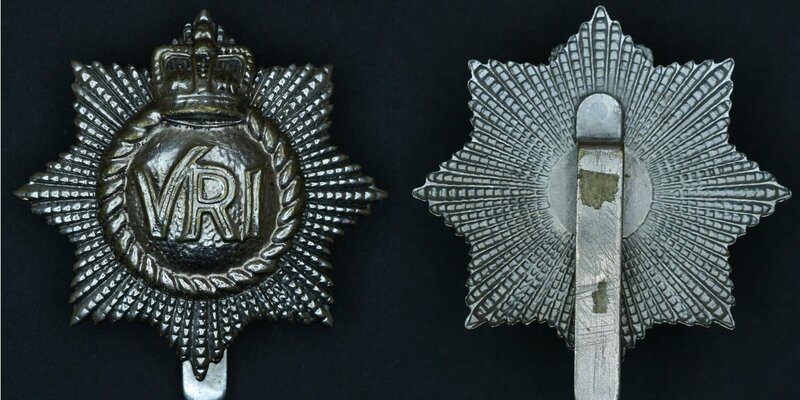 The rosette is positioned 2 to 2 1/2 inches from the front of the Glengarry and centered between the top of the cap and band.